In previous iterations of the app, all of these navigation options were in the app but you had to get to them from the menu or, in the case of adding things to your diary, use the FAB (Floating Action Button). It wasn’t great to be honest. This new update makes getting around the app much faster and easier. There are other under-the-hood improvements in this release and a few bug fixes too. I am unapologetically a fan of MyFitnessPal. I’ve been using the app for five years now (started back when I was an iPhone user) and today represents my 1,651st day of logging meals and exercise in the app. It is one of apps that I credit with helping me on my journey from weighing nearly 300 lbs to the under 200 lbs that I weigh today. 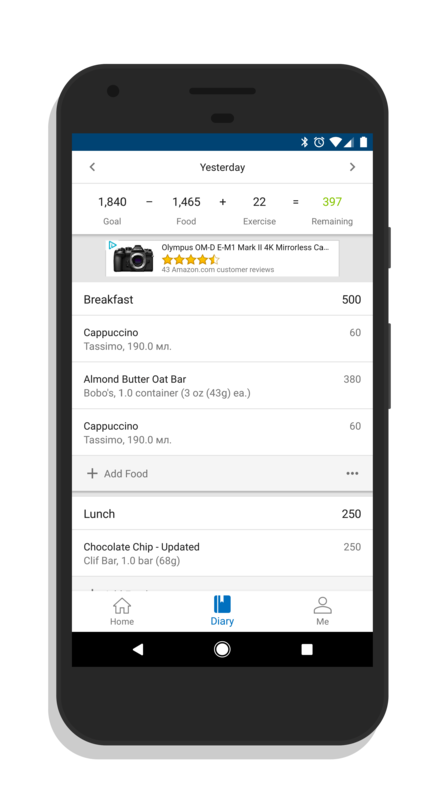 MyFitnessPal is a free app and the service is free. There is a premium in-app purchase option which gives you more granular nutrient and other information.